If you have ever wondered how frequently your air conditioner should be serviced, you should do that at least once every year, to keep it working as it should and for it to last as long as possible. You can have it serviced any time of the year, although many people choose to do it in the spring just before it starts to get hot. It can be difficult making yourself spend the money on air conditioning servicing, although it is money well spent and of course, it can save you money in the long run. It will cost you more to buy a new unit or pay for a significant repair. For more information on why scheduled maintenance is essential, talk to your local HVAC contractor. Less stress and worry about the system possibly breaking down is one good reason to have your air conditioner serviced regularly. It’s important to address any faults with your air conditioning system before they turn into more significant and more expensive problems, and of course, regular servicing will ensure your home remains at the desirable year-round temperature. Being too hot in the summer because the a/c isn’t working isn’t fun. You will also benefit from lower energy costs if you have your air conditioner serviced regularly, as that will ensure it is operating as efficiently as possible. It’s possible to lower those high energy bills throughout the year just by having your air conditioning unit serviced and getting any issues taken care of. Rates are higher if you have to call out an HVAC technician at the weekend or during the evening, and regular maintenance can help to minimize the chances of that happening, along with the higher call out bill. There is also a higher demand for maintenance and repairs in the summer, so schedule your maintenance during the spring if possible. You probably don’t want to have to buy a new air conditioning unit, and following these tips can help your existing unit last as long as possible. Behind the scenes, your air conditioner is keeping the air in your home clean by collecting dirt and dust and spewing it out and taking in fresh, clean air. If you don’t maintain and service your air conditioning unit regularly, over time the filters in your unit become clogged with dirt, meaning that it just won’t do the job as efficiently as it should. Once this happens, to have your air conditioning unit cool at the same level as it was doing before, you will need to decrease the temperature. And you may have guessed it – that means that your energy bills start to go up again. And when all that dust and dirt is released back into the air, it can be extremely unhealthy, especially if you or someone in your home has asthma, eczema or other allergies. Once the unwanted dust starts to settle in your home because of a clogged air conditioner, it can be noticeable and unpleasant even if you don’t have any allergies. Regular maintenance of your air conditioning unit is also necessary to keep all the parts moving as they should, including the coils and fan. If these essential components aren’t getting lubricated properly, you can expect higher energy bills as your unit won’t function at its most efficient. Replacing an expensive part can be avoided if you keep your air conditioner running efficiently, and adding more lubricant is sometimes all it takes to do that. It’s possible to change the air filters on your air conditioning unit yourself, although if the unit still isn’t functioning as it should, it may be something else other than clogged filters causing the problem. It will take an HVAC technician to come to your home and discover that you have a low level of refrigeration in the system, perhaps caused by a leak. If the leak isn’t identified and fixed quickly, you may well find yourself having to replace other parts, and that can be costly. It’s much more sensible to have an expert come and take a look at your air conditioning unit at least once a year to make sure everything is as it should be. If you have ever had an air conditioner not cool your home enough, you know just how annoying and uncomfortable that can be. Having an experienced and reliable HVAC technician service your unit regularly can ensure you and your family are comfortable even on the hottest of days and can potentially save you a lot in the long term. Regular service includes checking the lubricant levels and that the parts are lubricated as they should be. Call your contractor for assistance before your unit makes a funny noise, blows hot air or doesn’t work at all. Never wait for the last minute to have your HVAC system inspected if it is not running efficiently. With winter around the corner, it is the ideal time to clean your system and determine if it needs any repairs or perhaps a replacement. In case you have doubts about whether your HVAC system is running at optimal capacity, hire a professional to assess it. It may be time to consider an HVAC replacement in case your system shows signs of consistently poor performance or excessive wear. Is your air conditioner not providing chilled air during the summer, even when on full blast? Now that it is nearly winter, your furnace might not be blowing out enough air to heat your home correctly. One or additional parts may be failing if little or no air is flowing through the vents. You might also observe that certain rooms get warm while others remain cold. In this scenario, you may require replacing or cleaning the ductwork. In some instances, a faulty thermostat might be the culprit. Replacing it might solve the problem. The HVAC system emits a humming sound while working, but never emits unusual or loud sounds. Listen for odd noises like grinding, squealing, or grating emanating from your units. It could occur if the belt slips out of place something that you can fix or a more complex problem, which needs HVAC replacement. A slight musty odor is typical during the start of the summer season. This happens due to the accumulation of dust in the vents during the summer. However, pungent and acrid smells indicate mold growth in the ductwork or that the wire insulation has burned out. It is cost effective to upgrade your HVAC system rather than getting it repaired regularly. Installing a new HVAC eliminates the need for costly repairs plus the accompanying stress. Increasing energy bills are a positive sign that you need to replace your HVAC system. 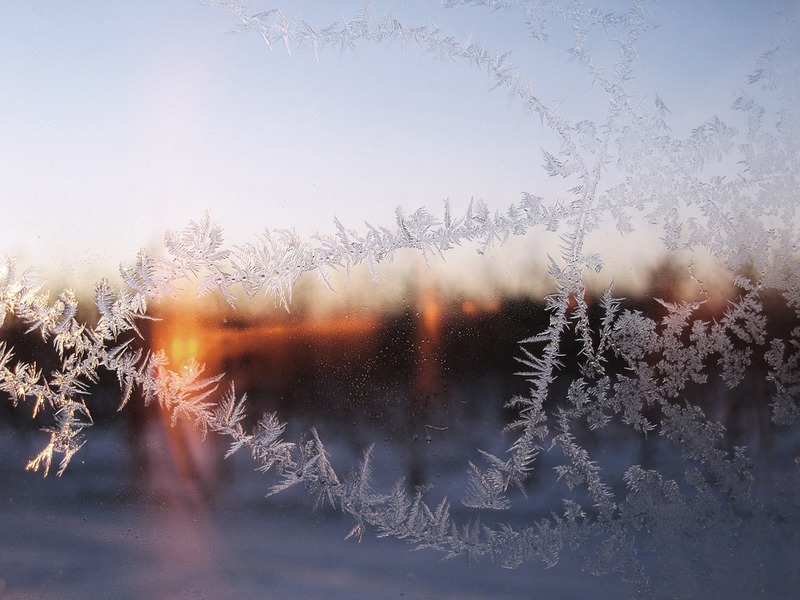 Over the years your furnace becomes less efficient leading to inflated energy bills during the winter. Your HVAC system is responsible if you consistently receive inflated power bills. Air conditioners and heat pumps typically last for 10 to 12 years and furnaces for 15 to 20 years. Expect frequent repairs if your HVAC system has reached this period. It is time to replace your HVAC. While your HVAC system might be working correctly, it might not be entirely energy efficient. Considering HVAC systems account for roughly of your residential energy use, slash power bills by using energy efficient equipment. Modern units are more energy efficient than older ones. Whereas small issues can be fixed by repairing, more significant problems can lead to financial strain. Replace your old system with a new one if the repairing costs of your old HVAC unit exceeds 50% of the cost of installing a new and energy efficient unit. Modern generation HVAC equipment has new and innovative features that make cooling and heating your home easy and efficient. They contain smart features such as the ability to an app on your smartphone to control their thermostat. You can save money with a programmable thermostat as you can turn down the heat when not at home, and have it automatically turn up the heat before you return home. To check if your unit is still covered by warranty, contact the manufacturer and provide them the serial and model number of the unit to determine if it is still covered by warranty. You are likely to find these numbers on a tag attached to the unit, directly inside the service panel, or on the outside of the unit. If the air quality in your home is deteriorating or if someone in your family is suffering from respiratory problems, it is best to upgrade your HVAC. Modern systems efficiently control temperature and humidity, improving the air quality of your home and reducing mildew and mold growth too.